Defend humanity on the cheap. Ah, the noble Tower Defense game. Place thy implements of destruction, and await thy enemies, only for them to be decimated at your very doorstep. Where a patient overlord observes his domain as countless fools flood their pre-determined paths, only to be obliterated by lasers or bullets or telekinetically hurled piles of burning garbage or meteors flung from the very heavens themselves. Oh, sorry. All of that power got to me. Oh! 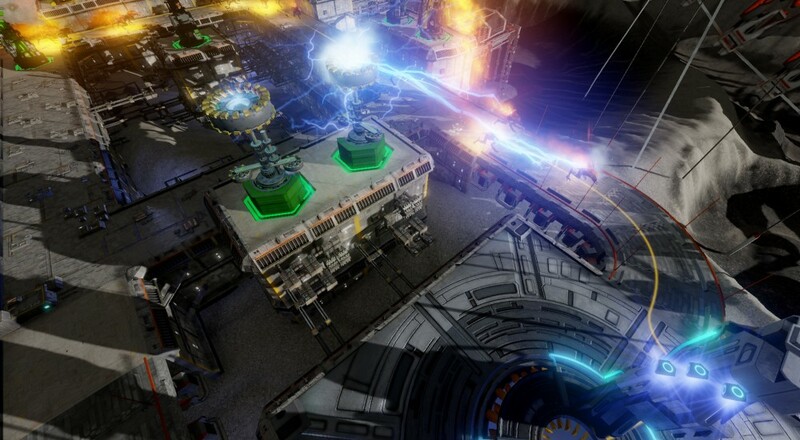 Defense Grid 2 just got its price slashed on every platform it's ever been released on. So if you and a friend have yet to pick it up for the Xbox One, PS4, or the PC, you can now snag the Regular Edition for $14.99, and the Special Edition for $19.99. For those not in the know, Defense Grid 2 is a Tower Defense game where you guard humanity from alien invaders by placing and upgrading towers and forming paths to force the most devastation. I'd be lying if I said I wasn't quite the fan. Let's take a gander into the distance past of 2014 to see their first instructional video. What could be better than ensuring humanity's survival against some extraterrestrial JERKS while hanging out with your best British Robot Bud? If you're into Tower Defense games at all, or if you just really hate aliens and love being a human being, maybe take a look into picking up DF2. Page created in 0.4071 seconds.